If your hospital is looking to strengthen patient outcomes, there may be no better area to target for improvement than your workflows. Fine-tuned hospital workflows can reduce the likelihood of staff errors and oversights; eliminate unnecessary redundancies that stifle the delivery of timely, efficient care; improve compliance with critical safety rules and regulations; and ultimately keep patients on the most sensible and effective treatment path. Here are four ways to enhance your hospital workflows and boost patient outcomes in the process. Successful workflow requires buy-in from all participants in the workflow. If just a single individual believes a workflow is flawed and decides to perform a task differently than expected, this can make the entire team less effective (and potentially risk patient safety). In a worst-case scenario, this individual's actions could negatively affect all processes that follow. This may encourage other individuals to attempt their own fixes, and it may not be long until part of or the entire process is drastically different than you intended. That's just one of the main reasons why it's essential to include all stakeholders involved in process design, implementation and oversight/management. Stakeholders will likely include department leadership, clinicians, IT representatives, staff, and any vendors whose products and/or services are used in and support the workflow. Stakeholders should be treated equally, with all opinions and recommendations valued and considered. There are a lot of processes that need to go smoothly if your hospital is going to deliver consistently positive patient outcomes. Some processes are naturally more difficult to complete than others. Some of these, when executed poorly, are more likely to negatively impact patient outcomes and safety. While you should have the means to monitor and audit the effectiveness of all processes within a workflow, challenging areas such as those noted may be worthy of closer and more frequent attention. Be on the lookout for breakdowns in policy and procedure compliance. When such problems are spotted, conduct an analysis to determine the cause and use the experience as a teaching opportunity to help staff avoid repeating mistakes. There are a number of technologies available that can help make your processes and operations more efficient, with more coming available every day. 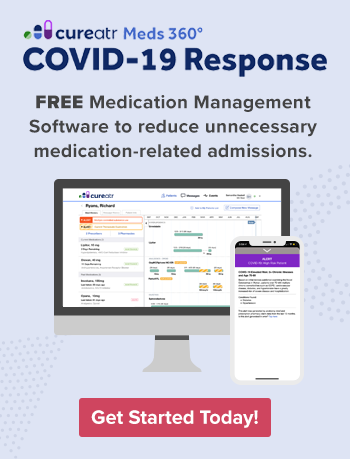 Options include clinical event notifications that can enhance the sharing of patient information between providers and organizations, workflow checklists that help standardize and streamline care, and task management solutions that give clinicians a means to monitor completion of tasks essential to the planned course of treatment. If you're going to invest in and implement new information technology (IT), do so judiciously. As the Agency for Healthcare Research and Quality (AHRQ) notes, when an organization makes a change to its practice, particularly when implementing health IT, the workflow associated with clinical and practice management processes change as well. Research assessing health IT implementations revealed that delays in areas including patient care and communication are likely to occur if you do not take workflow into account. This is because clinical and practice management requirements are sometimes overlooked or oversimplified. Consider using AHRQ's "Workflow Assessment for Health IT Toolkit" to help you implement new IT without harming your hospital workflows. This may sound drastic, but sometimes starting from scratch on a project can deliver the best results. Improving workflows is no different. By wiping the slate clean, you can map out the workflows exactly how you determine is most effective. This may prove more effective and easier than attempting to target various individual processes for small changes and then making modifications that may not necessarily address an overlying issue. One particularly useful time to consider a complete or at least substantial workflow redesign is when you identify significant duplication of processes and tasks. It can prove difficult to effectively eliminate duplication without then risking inadvertent omission of processes or tasks. Some words of caution: A workflow redesign is not to be taken lightly. Make sure planning involves all stakeholder involved in the workflow, as noted earlier. You will want to simulate the new workflow, identifying potential problems, fixing them, and then testing the workflow again until it meets your expectations. Only then should you implement it, and then ensure ongoing monitoring of the workflow to identify and address potential problems quickly.